The New Zealand Development Scholarships (NZDS), offered to selected developing commonwealth and non-commonwealth countries, aim to support candidates to gain knowledge and skills through study in specific subject areas that will assist in the development of their home country. New Zealand has first-rate education institutions that offer world-recognised qualifications. Successful applicants will have access to excellent academic knowledge in quality facilities. Awardees are required to return to their home country for at least two years after the completion of the NZDS scholarship to apply these new skills and knowledge in government, civil society, or private business organisations. 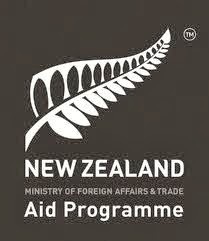 The New Zealand Government invites candidates from both commonwealth and non-commonwealth countries to apply for the New Zealand Development Scholarships for graduate or undergraduate study in New Zealand. Applicants must meet the following NZDS Scholarships eligibility criteria before their application will be considered against the selection criteria, including any region-specific criteria. Applicants are expected to continue residing in their home country during the Scholarship application and selection process. NZDS are for POSTGRADUATE study in New Zealand and are available to candidates from specific African, Caribbean and Latin American countries, and from Bhutan, Jordan, Mongolia, Nepal and Timor-Leste. NZDS are also available for UNDERGRADUATE study to candidates from Timor Leste. The Caribbean: Antigua & Barbuda, Bahamas, Barbados, Belize, Dominica, Dominican Republic, Grenada, Guyana, Haiti, Jamaica, St Kitts and Nevis, St Lucia, St Vincent and the Grenadines, Suriname, Trinidad and Tobago. Any field that will assist development of the student's home country. This may be studies related to agriculture, education, health, rural livelihoods, governance, human rights, or economic development, depending on the human resource development training needs of the home government. Covers financial support for tuition, living costs while in New Zealand, and airfares. The partners of students are eligible for a work visa that allows them to live and work in New Zealand for the duration of their partner’s study. Applications may be made online or via a paper application. Eligible countries should apply online, however, only selected countries are able to apply using a paper application. Make sure you are fully prepared before you begin your online application. Complete all the steps in the Getting Started section. Make sure you read the Application Guidance - especially the section about Online applications. The online application process has four steps, all completed on an online application site. The site will explain each step in more detail. The online application portal is under heavy stress in the days before applications close, so don't leave your application to the last minute. The scholarship is funded by the New Zealand Aid Programme - the New Zealand Government’s overseas aid and development programme. They are managed by the New Zealand Ministry of Foreign Affairs and Trade (MFAT). Hello Kwabena we may not be able to answer that because it is the providers who decide the eligible countries. The provider here is the Government of New Zealand (operating via the New Zealand Aid Programme). Hello @Kwabena Yeboah, perhaps the New Zealand Government heard your complaints because Ghana is now included in the list of African countries offered this award by the New Zealand Government. @gideon, I understand your fears. You are Nigerian (which is a Commonwealth country) and you fear the local nominating agency may not be fair in its management of the scholarships in Nigeria. Well, what can I say, but that is a requirement from the scholarship sponsors. Well, just pray to God and go try your best. Goodluck! Is the application period is over? @Amberber, application period is over for 2016/17 session. Calls will soon open for 2017/18 session. So keep a date! Thanks for ur reply! I want to have training in ur country. I am Instructor in Agriculture College in Ethiopia. M'sc in Soil water conservation Enginner!